While much of the momentum to fight climate change is focused on political channels, there are parallel efforts using law to force government to take specific, enforceable actions to reduce carbon emissions. It’s a difficult battle, but in recent weeks two notable initiatives have gained further momentum – a court ruling relying on the public trust doctrine and a new human rights declaration that has broad international support. The court ruling is related to a series of lawsuits brought by young people invoking the public trust doctrine to force governments to protect the atmosphere. Orchestrated by the advocacy organization Our Children’s Trust, the Atmospheric Trust Litigation suits have been filed in all state courts and in federal courts. On November 19, one of those lawsuits succeeded. A superior court judge in Seattle issued a ruling that strongly recognizes the public trust doctrine as a applying to the atmosphere. The case sought to uphold science-based plans for carbon emissions reductions developed by Washington State’s Department of Ecology, as a way to protect the atmosphere for eight young people (the plaintiffs) and future generations. The ruling is especially significant because it echoes a recent ruling by a New Mexico court that also strongly upholds the constitutional principle that the public trust doctrine applies to the atmosphere. 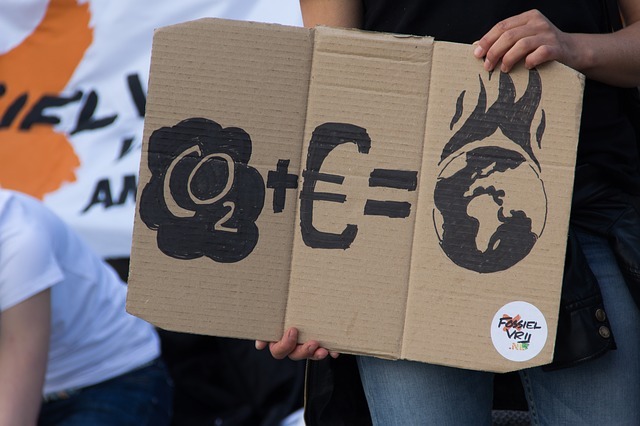 COP21 negotiators, are you listening? The public trust doctrine is a ancient legal principle that requires government to act as a faithful trustee of resources that belong to the general public and future generations. Historically, this has applied primarily to navigable waters. The Atmospheric Trust Litigation suits want the courts to apply the public trust doctrine to the atmosphere as well, thereby forcing state governments and the federal government to commit to specific actions to reduce carbon emissions. Judge Hollis R. Hill in Washington State declared that “[t]he state has a constitutional obligation to protect the public’s interest in natural resources held in trust for the common benefit of the people.” He found the public trust doctrine mandates that the state act through its designated agency “to protect what it holds in trust.” The judge also held that it was “nonsensical” to try to separate navigable waters from the atmosphere in applying the public trust doctrine because the two are inextricably linked. The court validated the youths’ claims that the “scientific evidence is clear that the current rates of reduction mandated by Washington law…cannot ensure the survival of an environment in which [youth] can grow to adulthood safely.” The judge determined that the State has a “mandatory duty” to “preserve, protect, and enhance the air quality for the current and future generations,” and found the state’s current standards to fail that standard dramatically for several reasons. The ATL lawsuits are potentially significant because they signal that even if the political branches of government will not uphold science-based climate policies to protect the public, the courts will. We need more such rulings that the government has a constitutional obligation to protect the atmosphere as a public trust asset crucial for the survival of our children. 1. Human rights and a profound commitment to climate justice are interdependent and indivisible. 2. All human beings have the right to a secure, healthy and ecologically sound Earth system and to fairness, equity and justice in the provision of climate resilience, adaptation and mitigation. 3. All human beings have the right to a planetary climate suitable to meet equitably the needs of present generations without impairing the rights of future generations to meet equitably their needs. 4. All human beings have the right to information about and participation in decision-making related to alterations to the physical environments they rely upon for their health and survival. 5. All human beings have the right to the highest attainable standard of health free from environmental pollution, degradation and the emissions of environmental toxins and to be free from dangerous anthropogenic interference with the climate system such that rising global temperatures are kept well below the tipping point of two degrees centigrade above preindustrial levels. 6. All human beings have the right to investments in adaptation and mitigation to prevent the deleterious consequences of anthropogenic climate change, and to timely assistance in the event of climate change driven catastrophes. Does competition and scarcity thinking lead to more innovation ? ← Does competition and scarcity thinking lead to more innovation ? Missing from COP21, any mention of indigenous rights, these are the guardians of the forests, no legally binding targets on reduction of greenhouse emissions. The proposals put on the table, would lead to a global temperature rise close to 3C, do not come into effect until 2020. The politicians fiddled whilst the planet burned.